Fun and interesting memories that do not necessarily make it to the academic writing. 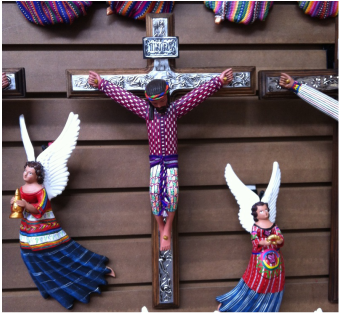 One afternoon I met with an informant in Guatemala City's historical district. As I sat in one of the parks waiting for her to arrive, I contemplated how little I visited the "El Centro". San Sebastián, the park, which was adjacent to an old, quaint church was peaceful and made me lament not coming here more often. As I sat on that bench, I resolved to come back and enjoy the tranquility of this place. My meeting with my Andrea, an indigenous member of congress who lobbied for indigenous women's rights was very insightful and I left the area with a sense of satisfaction: this is what successful ethnographic work felt like. The very next day, I got a rude awakening as my friends and family who had known I was in San Sebastian the day before frantically texted me about an article in the morning newspaper. That very day, a high school student had been killed in San Sebastián. The newspapers recounted stories of drug trafficking and urban violence in the very park I had found so serene the day before. I guess the lesson learned from this experience is that in Guatemala City, you can never let your guard down. Through this experience I began to understand on a personal level why national security and drug trafficking were the focus of our national politics. One book, 50 years of history? 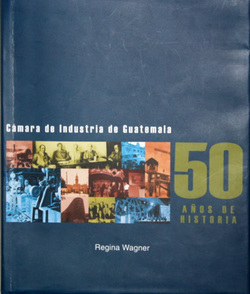 Although it was not unusual for a book detailing the economic processes and state of the Guatemalan financial system to incorporate views on the armed conflict, it was a bit surprising to find a book that so blatantly condemned both the military and the guerrilla groups. The author criticism was that both of these extremist groups had held the country back, prevented it from expanding economically. Up until this point, most—if not all—of my openly indigenous informants had taken a more leftist stance, politically. Thus, it was surprising to hear Carlos speak out against minority rights and express a more neoliberal mindset. My first interview with an indigenous informer started with an adventure, we had agreed to meet in his office in La Terminal, which is one of the larges markets in the City. The sprawling shops and distribution centers and the massive amounts of people and merchandise moving about was unlike anything I had experienced in Guatemala City. It was different from the marketplaces with their small stands and produce; from the gourmet stores which sell expensive local goods, as well as American and European goods; and completely different from Wall Mart and all the large , low-price chain supermarkets now found around the country. La Terminal was a mayhem of busy people in warehouses and over-loaded pick up trucks heading out to distribute merchandise to the small stores and street vendors around the city. The setting itself proved to be extremely interesting, with a variety of people dressed in all styles of clothing moved around busily between the parked buses and trucks, and avoided the constant stream of motorcycles and cars attempting to drive through the crowded streets. I noticed that many of the women were dressed in traditional indigenous ensembles, although many also had a refajo (a type of skirt) and a t-shirt on. Even the little girls, holding hands with their mothers or fathers were wearing huipiles (a type of blouse) and refajos. The men, on the other hand, were all dressed in a more “Western” style, usually wearing jeans or slacks and t-shirts or button down shirts and we even walked by a group of men wearing military uniforms. There was also a large amount of private security officers holding rifles patrolling the streets in front of whichever warehouse they had been hired to protect. After a half hour of being hopelessly lost and not finding's R.L.’s office and not finding it, we finally managed to get a hold of him on his cell phone and he sent out one of his employees to find us and lead us to his store. Fortunately, R.L. was also running late and had not been waiting for us while we were lost. It proved to be a very interesting and diverting adventure!